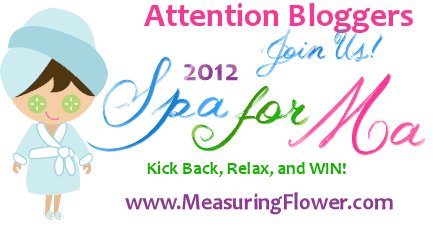 Bloggers & businesses, join the Spa for Ma Blog-Hopping Giveaway Event! If you are a business and are interested in being the sponsor for the grand prize, please contact TJ of Measuring Flower. For more details on this fun giveaway event, please visit Measuring Flower!